Simply Stunning Pink Tourmaline & Diamond Ring [SH10242] - £0.00 : loveVintageDiamonds.com, Your Vintage Diamond Dreams Come True! 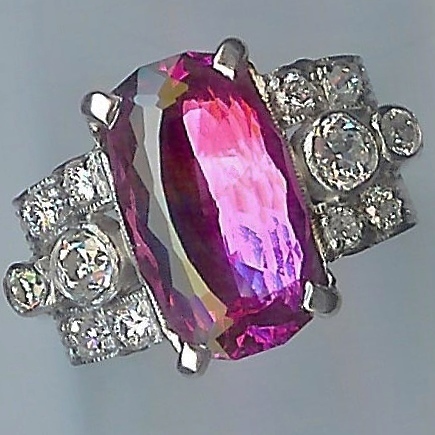 Simply Stunning Pink Tourmaline & Diamond Ring. 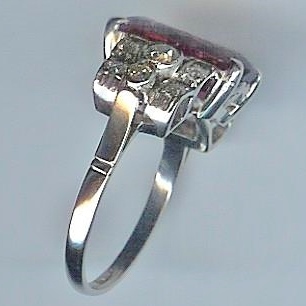 A highly desirable pink tourmaline, 3.50cts., measuring approx. 12 x 8mms, set amidst twelve rose-cut diamonds, six in each shoulder. 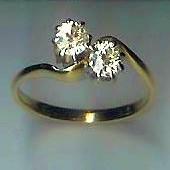 Total diamond weight approx.0.54cts. 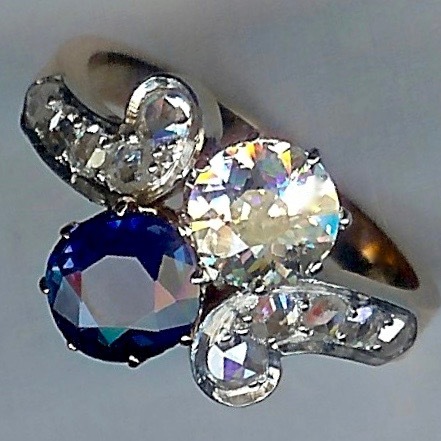 The style is of 1940s, with the mount and diamonds original to the piece. 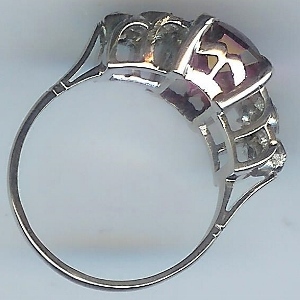 The tourmaline is a recent replacement which truly complements the age and style of the ring. All white, marked 'PLAT' and tests as platinum. Presently fits finger size 'L'.